For a real long time, I had stayed miles away from the cheesecake..it just seemed too complicated. 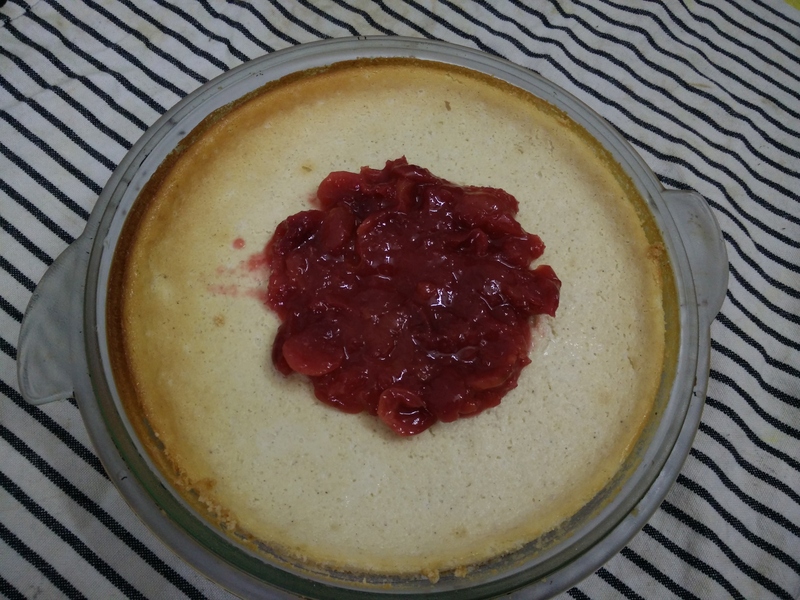 Till i got my hands on the Gordon Ramsay Recipe of a New York Cheese cake. I for one don’t like using gelatin, so a cold set cheese cake could never be made. A couple of months ago i got my hands onto Brittania’s cream cheese, and that started of with a revolutionary change in my cream cheese habits! 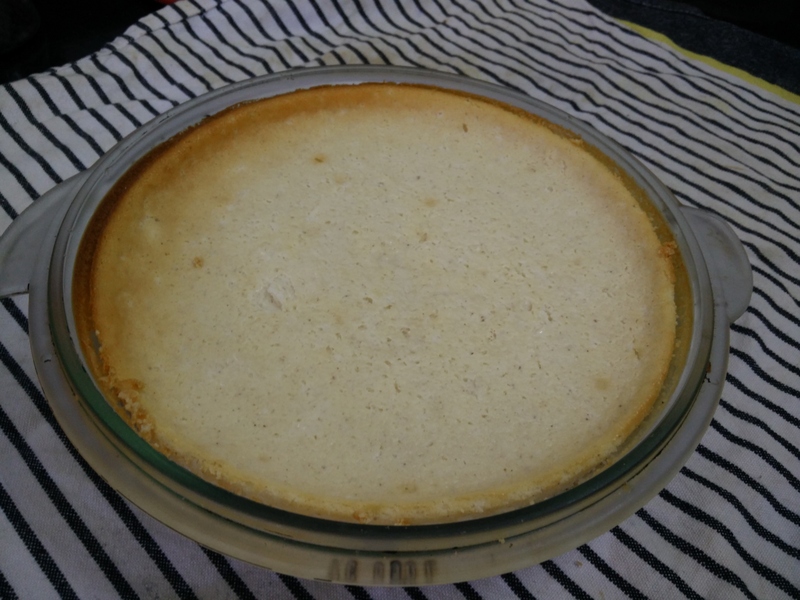 When it came down to making this cheese cake, I knew there was way too much food going to be consumed through the various courses for people to actually dig their teeth into a thick cheesecake. I decided to make in my Corning pie dish…and was it a brilliant idea. What’s more i put my hands onto a packet of sugar-free Digestive biscuits, just the right base for what I had planned. 1. Crumb the biscuits and add just enough butter to make it pliable. Layer the base of the pie dish with the crumbs and bake blind for 10 minutes at 180 degree Centigrade. 2. Mix together all the other ingredients except for the sugar, cherry and peach. Taste it, it needs to be just about sweet. Pour this into a baked biscuit base and put it back into the oven to bake at 180 degree Centigrade for about 40 minutes. Do not overcook it. the centre should be wobbly but set. Keep it in the oven to let it cool down. 3. 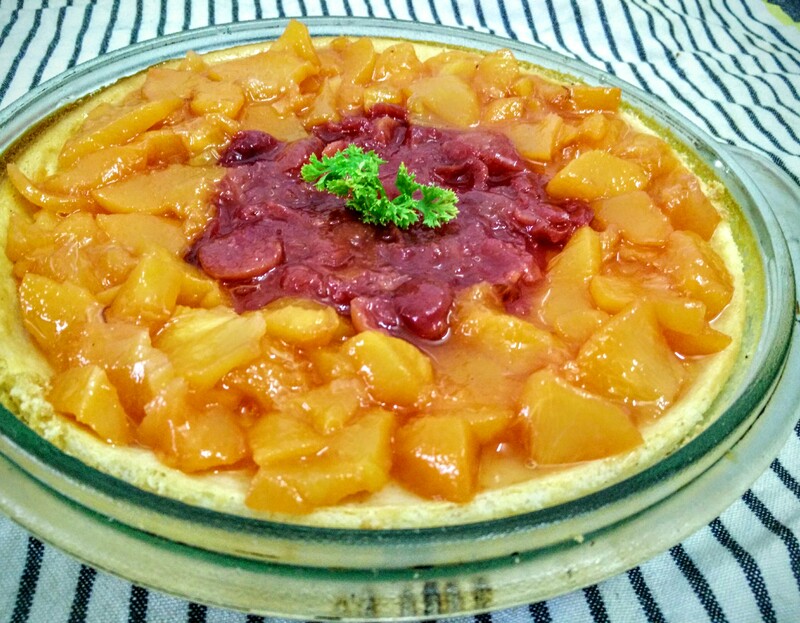 For the topping: cook the cherry and peach separately to create the topping–it should have a jam like consistency. For those of you who have never done this before. Place 6 tablespoons of sugar in a thick bottom pan. Add 12 tablespoons of water and let it cook. when all the sugar melts add the fruit and it boil down to a jammy consistency. If using sugar free all the ingredients together and cook till the fruit breaks down. 4. Cool the cheesecake base overnight. 5. An hour before you plan to serve it, add the fruit topping. You can create any design you like.